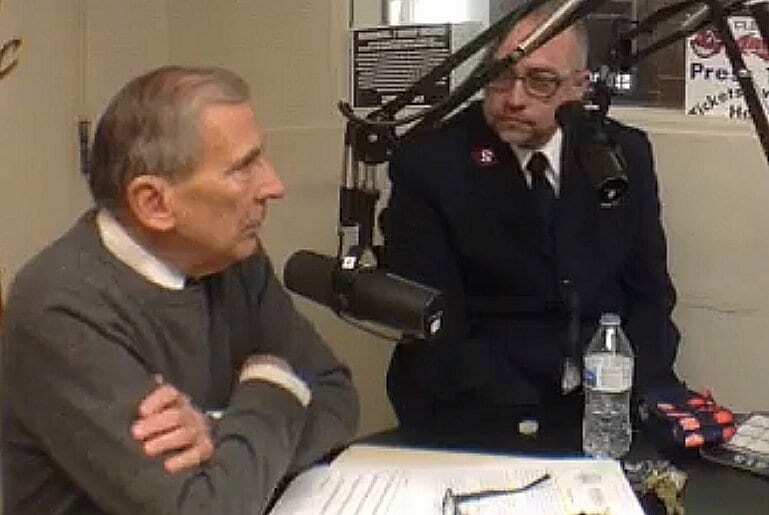 Mayor Tom Bernabei stopped into the Gary Rivers Show on Wednesday morning, November 21 to help the Salvation Army of Canton kick off the annual Red Kettle fundraising Campaign. Mayor Bernabei is also a regular volunteer during the Share the Warmth “A Family Christmas Eve” dinner. He is generally found helping out in the kitchen, or speaking with volunteers or encouraging the homeless.